Interior design is the art and science of enhancing the interior of a building or a physical space to achieve a more aesthetically pleasing and viable environment for the people using the space. An interior designer is someone who plans, researches, coordinates and manages such projects. Modern interior design refers to a design style that was created in a certain period of time: the 1920s – 1950s. It doesn’t change – It is a defined style, and will remain such for ever. Contemporary interior design, on the other hand, is ever changing. It is of the moment. 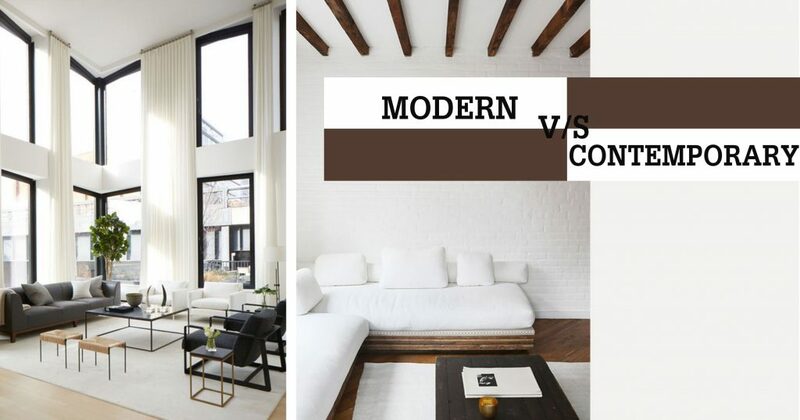 The term ‘Modern’ in interior design really refers to ‘Mid Century Modern’, a style of interior design that is recognizable by its clean, unadorned finish. Use of natural materials such as wood, leather, teak and linen is prominent in modern interior design. Moulded plywood and plastic, as well as polished metal, are very popular in modern furniture. In a modern house interior, furniture is very open and raised off the floor, allowing for an airy feeling, and walls are often white adding to the expansive feeling. 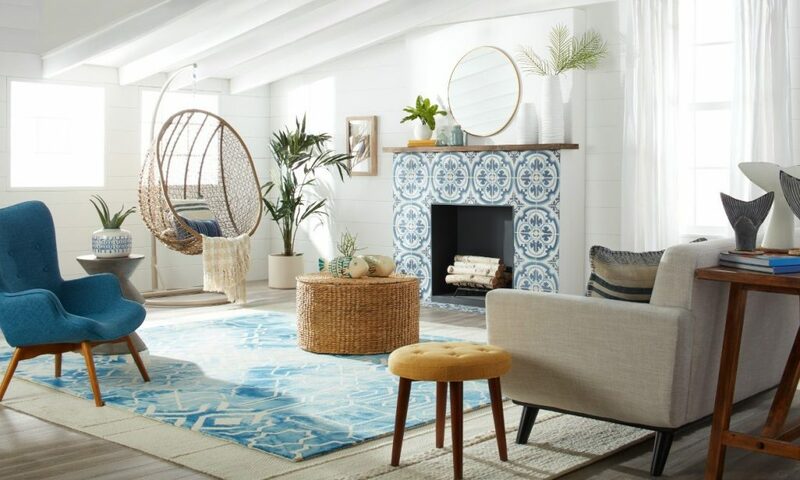 Spaces designed using modern interior designs generally have bare floors, and if area rugs are used, they are typically made of wool, and neutral in colour. Hints of colour are used in moderation. We generally refer to modern interior design as ‘retro’ these days. Contemporary interior design refers to what is popular or used nowadays while doing up the interiors of a space. Contemporary interior design can be very eclectic for that reason, because it is ever changing and borrows pieces and styles from all different eras. It doesn’t have to be something that is ‘designed’ right now – for example, furniture and art from the modern era are often used in contemporary interior design, and even traditional mouldings and millwork are incorporated in many cases. 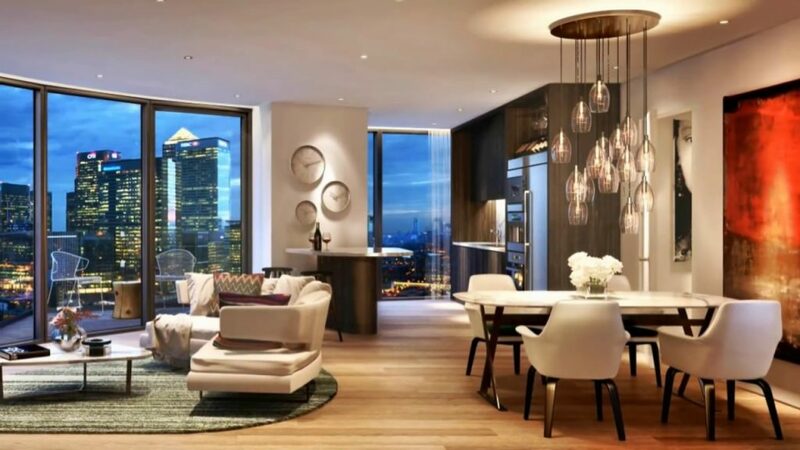 A contemporary interior design might incorporate large windows, unique or odd shapes, open plan and harmony with the surrounding landscape. The finish of a contemporary interior design typically uses a lot of natural elements such as fir or cedar and stone. The finishing details and furniture are in-ornate and use clean lines. Comfort and sustainability are key values that are considered important when using contemporary interior design. In twenty years from now, something else will be considered ‘contemporary’ in the interior design arena. Part of the confusion is that right now, many elements of mid-century modern interior design are very popular and are being incorporated into contemporary interior designs. The modern style is basically the design and decor of the modernism movement, which began in the very late 1800s. Birthed by the German Bauhaus school of design and the Scandinavian design emphasis on simplicity and function, modern interior design is actually very old. In general terms, modern decor is linked to the beginning through the middle of the 20th century. 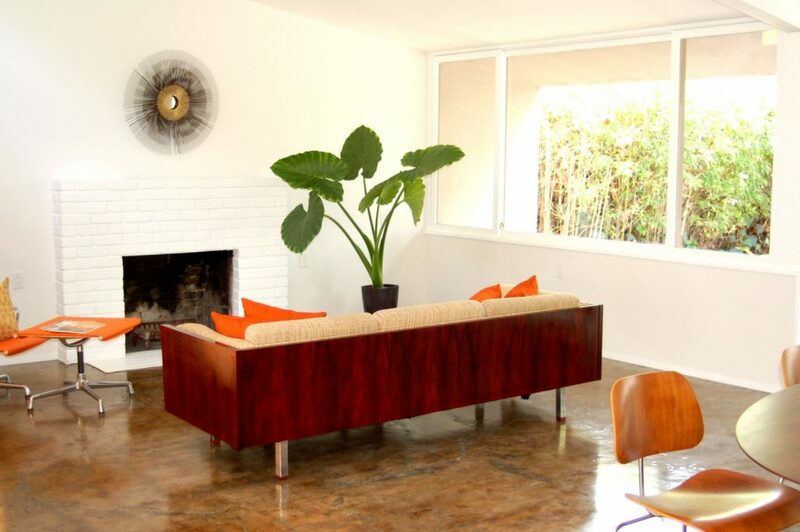 The modern interior design style eventually morphed into mid-century modern (the 1950s and 60s) and postmodernism (1970s and 80s). 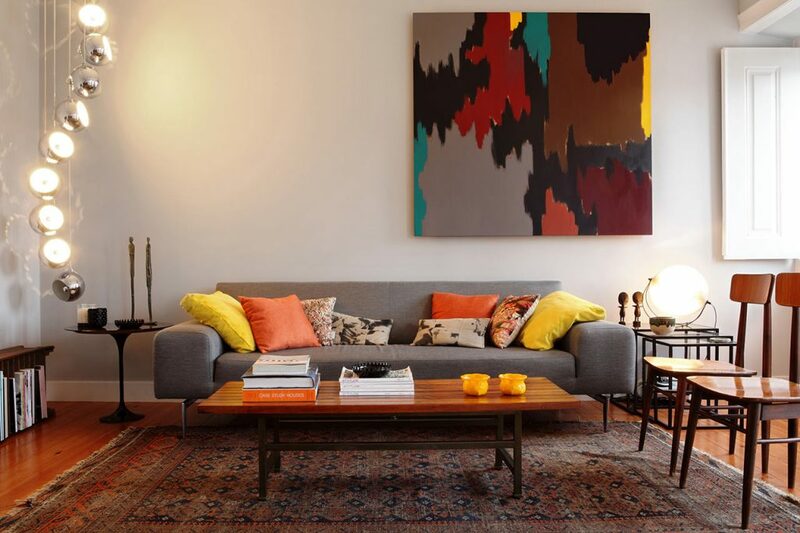 While mid-century modern looks a lot like modern interior design with splashes of bright color added strategically, postmodernism differs – It is bold and breaks all rules of tradition. It is definitely more about the form than the function, which is the exact opposite of the practical features found in modern interior design. What is referred to as contemporary interior design became popular in the 1970s, about the same time as postmodernism’s rise in popularity? It was originally a blend of styles before it became recognizable on its own. The contemporary interior design borrows elements from modernism and postmodernism, as well as ideas from many other styles such as art deco, de-constructivism, futurism, and more. Contemporary interior design is always changing. As each decade passes, the decor trends of the day will always be considered contemporary. Hence, contemporary interior design is not necessarily tied to a specific period of time in the way that modern interior design is. Instead, it is an ever-evolving style that reflects what is happening today. A modern space tends to follow a strict style format while contemporary has many variations in its interiors. Modern interior design in its true form is rarely viewed as stark or cold, while many a time contemporary interior designs, especially those that follow minimalist trends, celebrate a bold starkness. Modern pieces of decor tend to have a function, whereas contemporary pieces may concentrate more on the form itself. The colour palette of modern interior design leans toward naturals or neutrals that have a warm, inviting feel. Contemporary interior design often involves plenty of blacks and whites, though it has no problems swinging from one extreme to the other on the colour scale. Modern interior design favours strong lines, while the contemporary style loves curves. Since the contemporary design style is forever adapting to the latest trends, it picks up many elements that may not be found in modern house interior, such as expansive windows and morphing the natural world into the interior. Additionally, both modern and contemporary styles do enjoy geometric elements, but they tend to go about it in different ways. A modern house interior could boast of a geometric light fixture in brilliant gold hanging from the ceiling, whereas, in a contemporary one, it would be more large-scale sculptural features, such as a series of show-stopping exposed beams against a stark white ceiling. There are similar characteristics to be found in both styles as well. This is likely where much of the confusion stems from when trying to distinguish them. Both styles tend to favour simple, uncluttered spaces with smooth, clean lines and artistic flair. This imparts a comfortable and calming feeling in a room, making it inviting. Neither style prefers ornate designs or heavy elements. Contemporary spaces, however, bend this rule frequently with changes in trends. In both styles, sofas, chairs, and ottomans have exposed legs. Both design styles tend to gravitate toward reflective surfaces such as exposed metals and glass. You will also find plenty of exposed wood in both styles, from architectural beams to raw wood end tables with metal bases. Modern interior design and contemporary interior design both have their strong fan followings respectively, and ultimately, it comes down to the tastes of the interior designer and the client, as well as the suitability of the space, as to which style is incorporated in a project.